The Funky Choir.com brought the house down at Hazelmere on Friday 12th October. They treated all Residents and Friends of Hazelmere to a fabulous performance and had everyone tapping their feet and singing along! 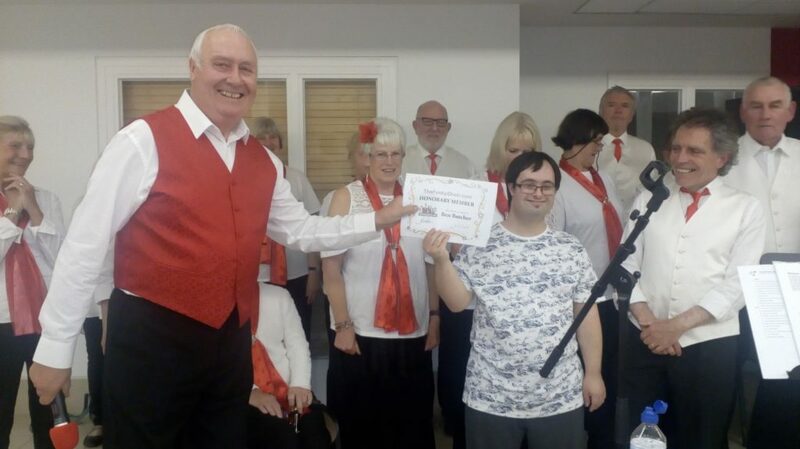 They invited Ben, a Resident at Hazelmere, to become an honoury choir member to join them for their second half of the performance, singing one of Bens all time Abba favourites – Waterloo!! During the interval, Jenny their Musical Director sang hits by Celine Dion with the voice of an Angel! The evening was such a success and thoroughly enjoyed by all who attended, we very much look forward to The Funky Choir returning to Hazelmere for another performance!